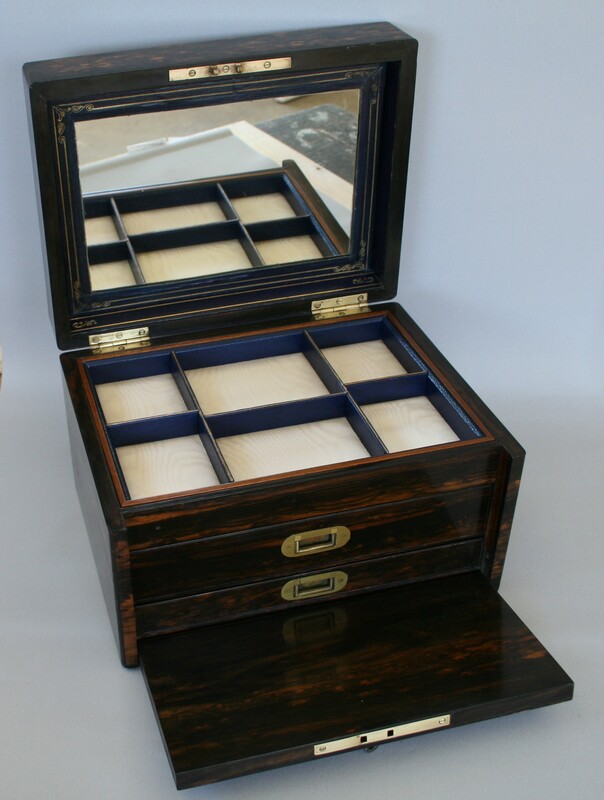 A Victorian coromandel wood jewellery box with Mother of Pearl escutcheon and plaque. The top lifts up to reveal a fitted interior. This has a working lock and key. 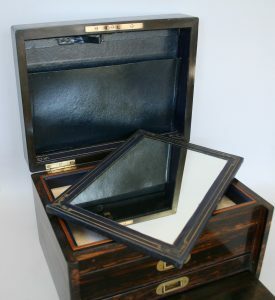 Inset within the top is a removable mirror come pin cushion with storage wallet behind. 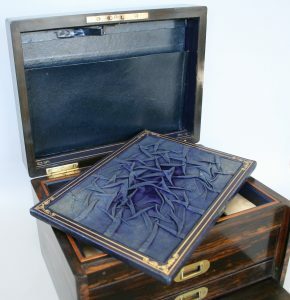 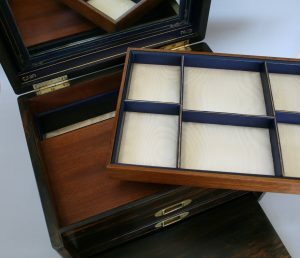 The top section has a lift out tray with small compartments, lined in a blue skiver and ivory water silk. 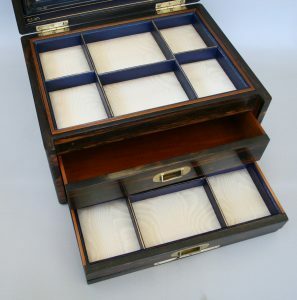 This reveals another compartment below once removed. 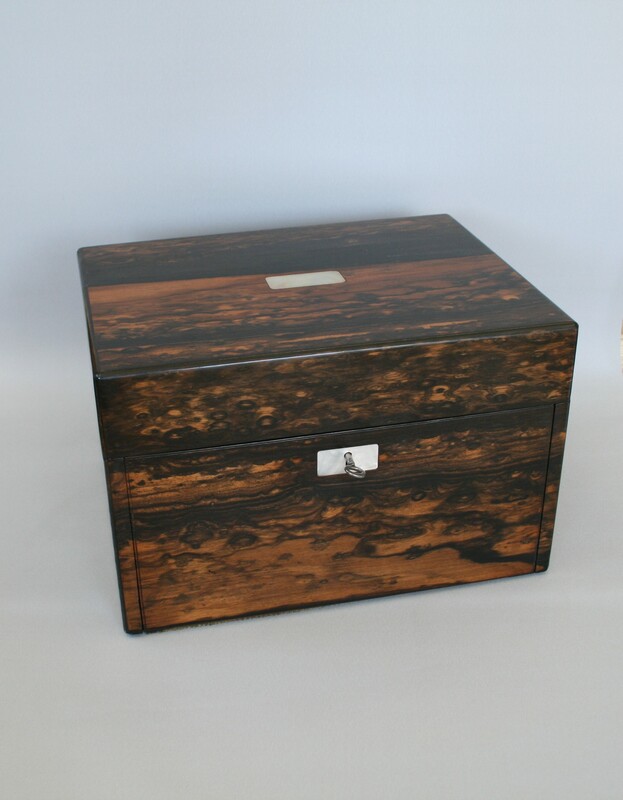 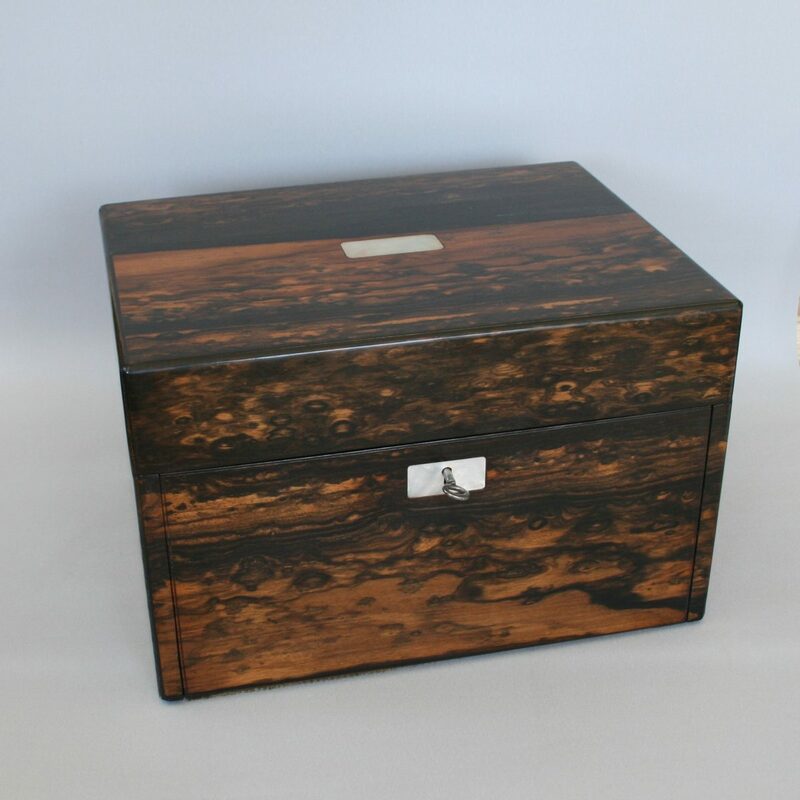 The front flaps down to reveal two drawers, one is lined in the same materials as the lift out compartment and again has small sections for jewellery.